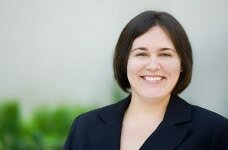 Brandy M. Jenner is a Ph.D. candidate in the School of Education at UCI with a specialization in Educational Policy and Social Context (EPSC). Brandy completed her B.A. in Anthropology with a minor in Classical Studies in 2005 at Scripps College, and received a M.A. in Social and Cultural Analysis of Education from California State University, Long Beach in 2009. As a sociologist of education, Brandy’s research concerns: 1) policy issues that arise at the nexus of interaction between education and society; 2) how individuals’ prior experiences affect their educational outcomes; and 3) how (and if) the expansion of higher education has led to increased equity. Having been anthropologically-trained, Brandy also has a long-standing love of ethnographic and qualitative and research methods. Using a variety of methods, Brandy’s dissertation examines the academic and social outcomes of military veterans across three types of U.S higher education institutions: a research university, a comprehensive university, and a community college. Brandy has held positions in student governance and student development at Scripps College, CSULB, and UCI. During her M.A. program, Brandy worked in student affairs in the Student Center for Professional Development in the School of Business Administration at CSULB. After earning her M.A., Brandy spent two years in Boston, Massachusetts working in facilities administration for a global marketing company. At UCI, Brandy has taught and TA’d for lower- and upper-division courses in the School of Education, led a university-wide research project at the Center for Assessment and Applied Research, and served as a Pedagogical Fellow. Brandy’s hobbies include reading epic fantasy and science-fiction novels, drinking exotic teas, learning new languages, and traveling to new destinations. Jenner, Brandy M. (2017). “Student Veterans and the Transition to Higher Education: Integrating Existing Literatures.” Journal of Veterans Studies. “The Impact of Peer Community on Student Veterans’ Transition to Higher Education.” Presented at the Pacific Sociological Association Conference 2017. “Turning the Tables: Integrating Undergraduates into Research on Faculty Experience.” Co-Presented with A.K. Bonsu and S.M. Funderburk at the Ethnographic and Qualitative Research Conference 2017. “A Comparison of Interview Contexts and Methodological Implications: In-Person Public, In-Person Private, and via Skype.” Co-Presented with K.C. Myers at the Ethnographic and Qualitative Research Conference 2016.